Watch anime online, streaming anime episodes you are watching One Piece Episode 346 English subbed online for free. Anime guide, One Piece Episode 346 English sub Disappearing Strawhat Crew! The Mysterious Swordsman Appears! 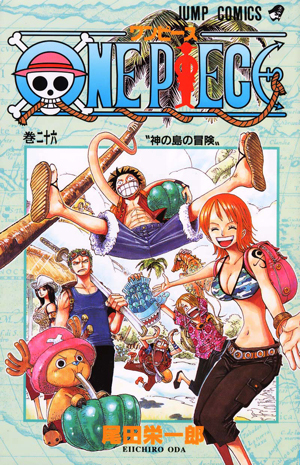 The three remaining Straw Hats are lured by Buhichuck into a room where they are forced to face an army of armored General Zombies, but are able to handle them until the zombies are joined by a strange swordsman named Jigoroh (who appears to act and fight like Zoro) and Luffy is captured by the zombie forces. Franky and Robin are left to face against a massive monkey-spider. Meanwhile, Absalom forces Lola’s anger on Nami while Perona invades the Straw Hats’ ship for treasure.